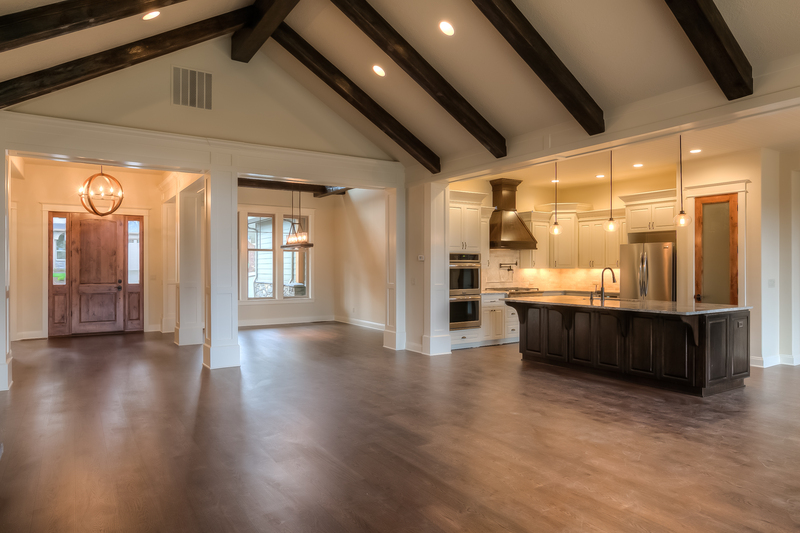 Williamson James Homes recently completed this home in Creekside Estates and TurnKey & Truss was able to consult throughout the entire design process, we are so excited to walk you through the finished product! The client wanted a lodge style home so we bridged the gap between traditional lodge inspired finishes and a modern feel to create the perfect balance. 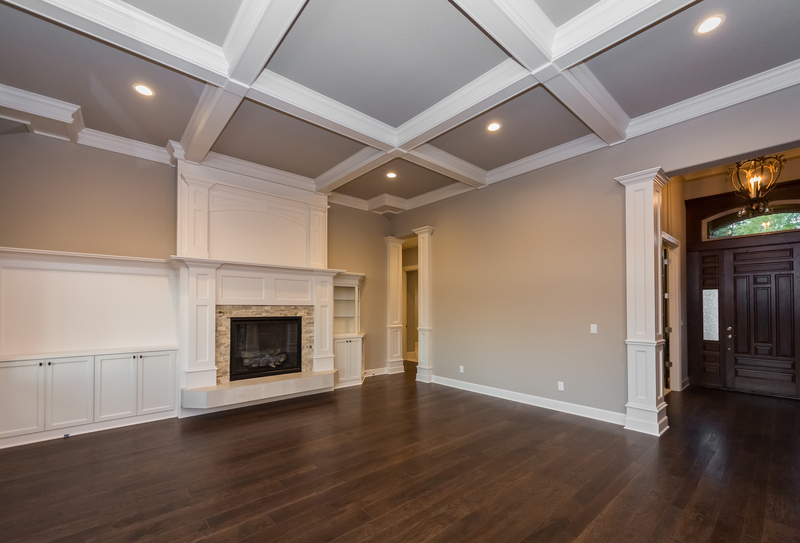 We had the privilege of building this dream home that we just completed and we couldn’t be happier to share it with you all! We love being a part of our clients homes from start to finish and enjoy seeing all of our suggestions come together to form a dream home. We consult throughout the entire home building process from lot selection to creation of the home plan to the final finishes. 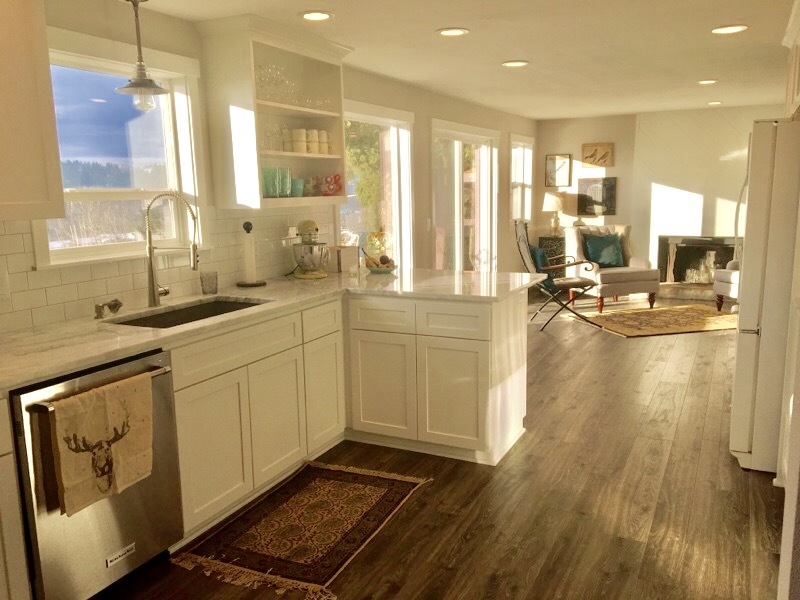 Follow along as we walk you through how we built a house and made it into a home. 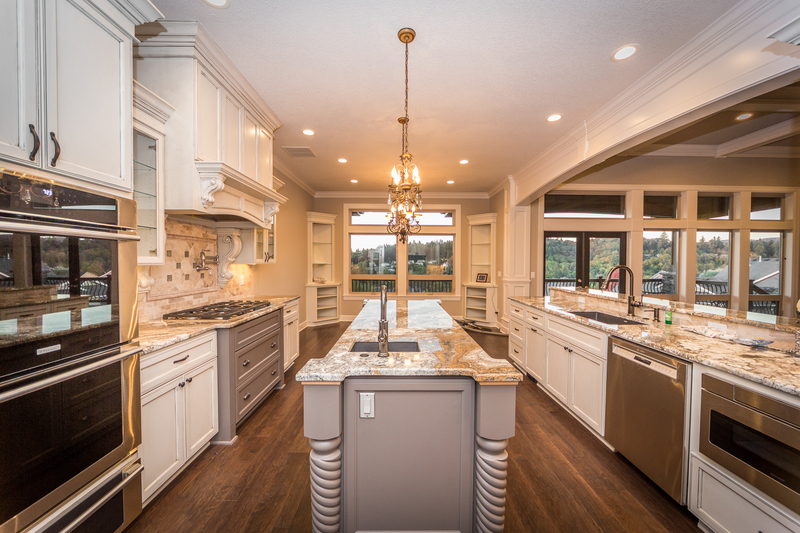 The kitchen, being the heart of a home is one of our favorite rooms to piece together. 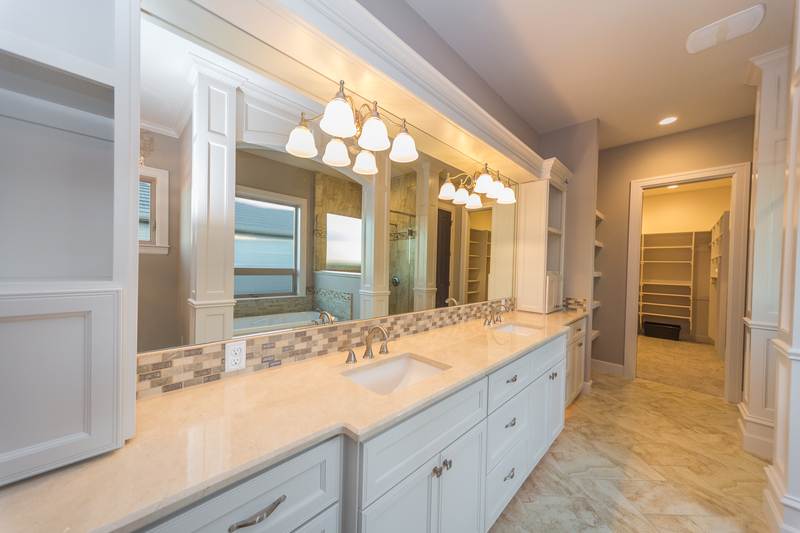 The process of the homeowner deciding what cabinets, color schemes, counter tops, backlash and overall design to go with can be overwhelming, which is why we are on hand to consult throughout the entire project. 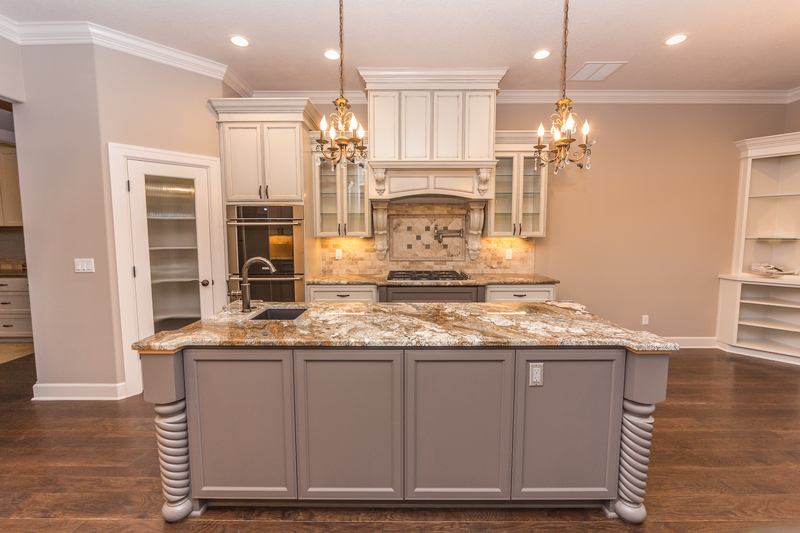 This kitchen is one of our favorite to date! 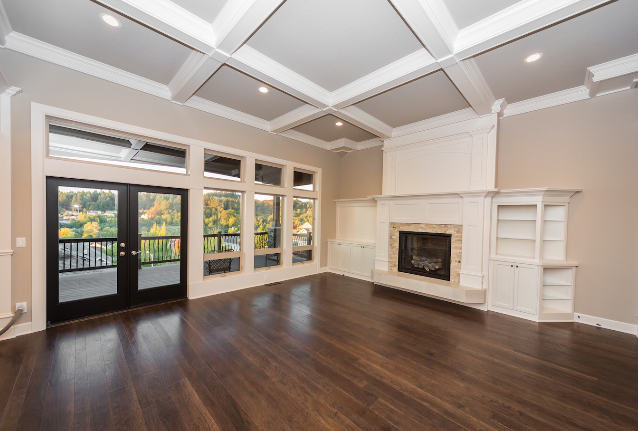 A great room is one room you spend the most time in, which is why we marry every design aspect together here. 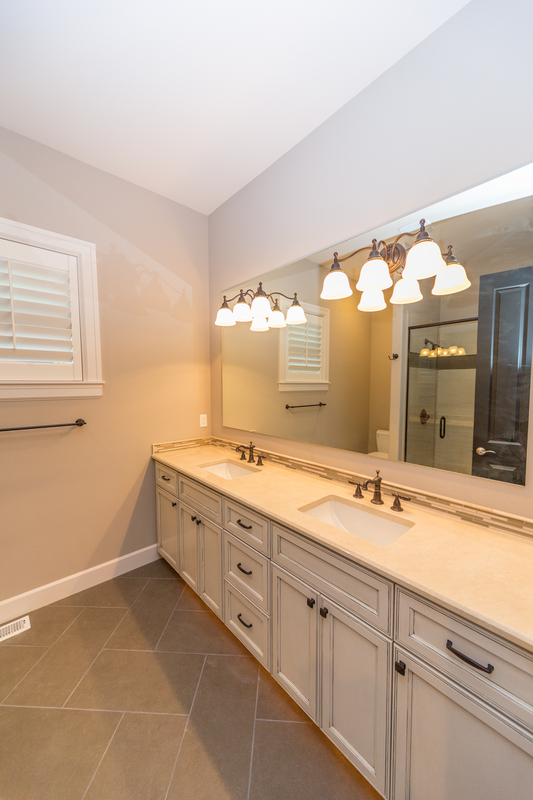 The gray color scheme we selected balanced the home with a modern feel. The homeowner loved rich details so we threw in black doors to balance the trim pieces. This room is where you get to showcase drama! 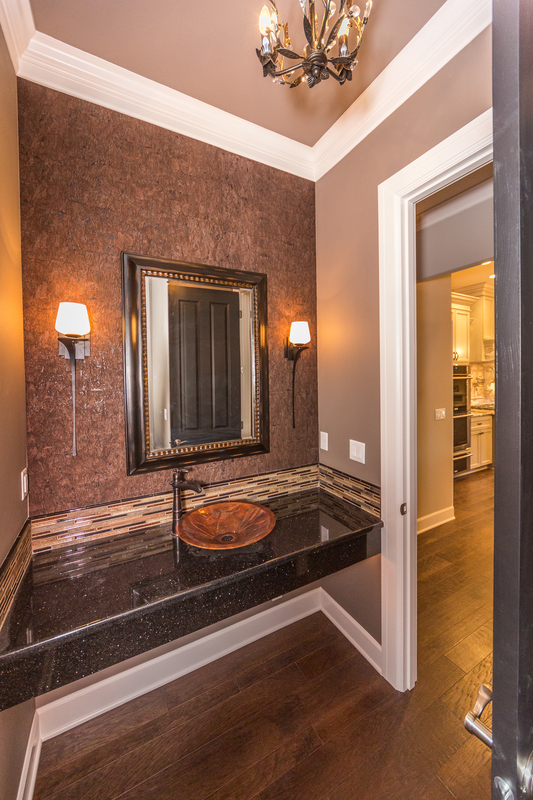 We completed the powder room with a floating counter top, custom cork wallpaper, and a dramatic chandellett. This room was inspired by the homeowners love of bold colors and rich design. 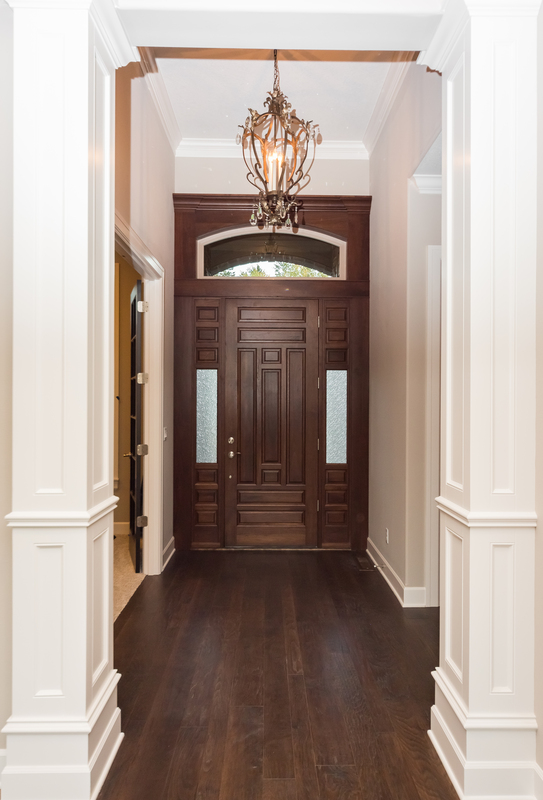 The front door was completely custom with walnut trim detailing. The door is stunning from the inside out! 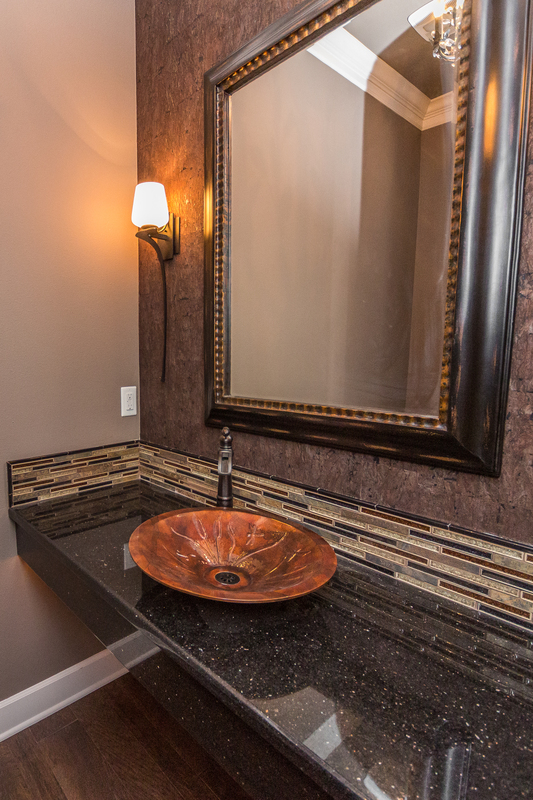 If you are interested in building or remodeling a home please keep us in mind! We would love to answer any questions you may have.